Jaguar Land Rover and Waymo have just teamed up to create self-driving I-PACE cars that’ll be on the roads as soon as this year – for you to hail as a cab using your phone. Waymo, formerly the Google self-driving car project and a part of parent company Alphabet, has teamed up with Jaguar Land Rover. These two heavy weights working together means the autonomous future of self-driving cars is not only coming sooner than ever but could look amazing too. 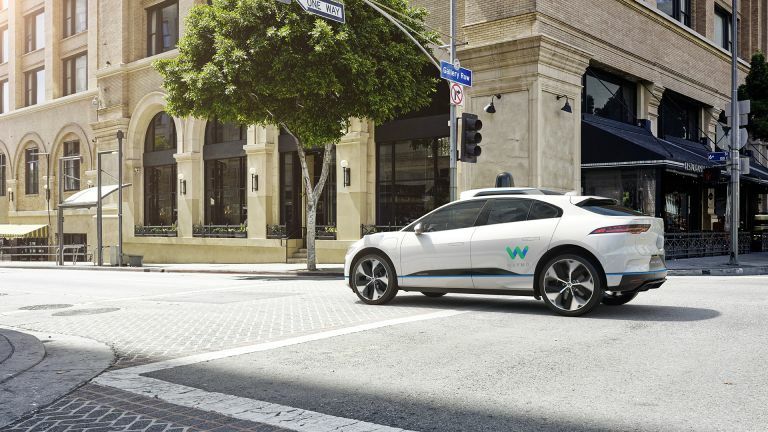 The full electric Jaguar I-PACE SUV, which launched earlier this month, will be fitted with Waymo’s self-driving technology for real world on-road testing. With up to 20,000 cars planned in production for the first two years alone, there could be up to one million trips per day. All that means a whole lot of data collected for a faster route to autonomous cars worldwide. Waymo plans to launch the world’s first self-driving car service that users can hail with an app. Yup, this is like a new Uber but one without a taxi driver or the use of environment destroying fuel. This is the future. While this service is rolling out later in 2018, it will likely be a very limited test case in a certain area. The plan to roll the fleet out further should mean a full service operational by 2020.